IFA 2014 has barely kicked off and the inflow of news has already overwhelmed the tech community. Sony did its fair part in this by unveiling a plethora of devices including their latest flagship device, the Xperia Z3. Sony in their latest iteration of the Z flagship worked more with the motto of “ If it ain’t broke, don’t fix it” rather than attempting to reinvent the wheel. Many have compared this approach to that of Apple’s iPhone, building on a design language that works and gradually improving and refining it. The Z3 comes with minor improvements such as a slightly thinner profile and a slightly faster SoC. It brings an improved IP68 rating to the table along with some camera tweaks, namely an ISO of 12800 for better low light imaging. Other than those, there really aren’t many advances in the specifications department. The Android smartphone market has evolved incredibly over the years and one of the biggest changes we see is the ballooning display size. Flagship smartphones offer the cutting edge of Android in terms of both hardware and software however most are beyond 5 inches in size. Anyone looking for a more pocketable form factor has to settle for the infamous “mini” devices which compromise on the specifications. 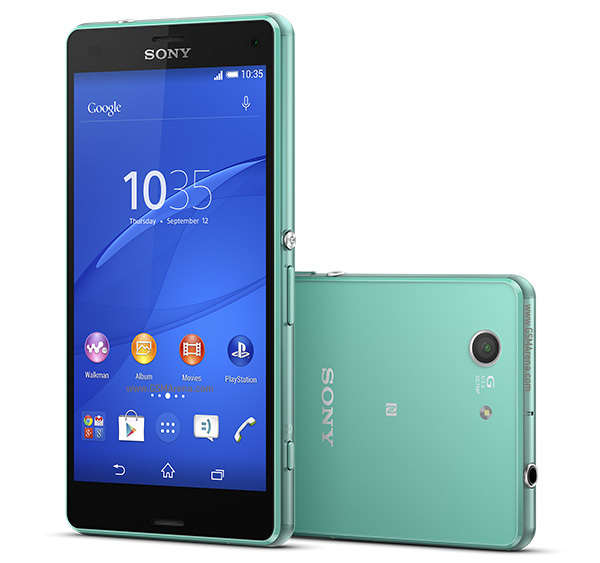 Sony however is bringing a change here with its compact devices which offer near flagships specifications. The Z3 Compact is oddly the successor to the Z1 Compact. Nevertheless, you can expect to find nearly the same set of specifications on this device, only in a 4.6 inch form factor and 720p display. Sony brought its tablet game to IFA as well with the Xperia Z3 Tablet compact, an 8 inch slate with a smaller footprint compared to the Z2 tablet but no compromise on specifications. Inside, a Snapdragon 801 powers the tablet and is supported by 3GB of RAM, something that is slowly becoming common amongst modern devices. The 8 inch display is a nice 1920 x 1080 panel. The design is very similar to previous Xperia tablets and likewise is also dust and water resistant. The Smartwatch 3 had been rumoured before the unveiling multiple times but it was unclear whether Sony would put their version of an Android based wearable OS on the device or adopt Android Wear as Sony was not revealed as an Android Wear launch partner. The air has cleared now as Sony unveiled the wearable running Android Wear. The highlights of the Smartwatch 3 are its IP 68 rating and presence of built in GPS. The 420 mAh battery inside is reported to give about 2 days of usage. Other specifications include a 1.6 inch screen, 1.2 GHz Snapdragon processor and 512 MB RAM. Pricing and release dates for Sony’s new armada of devices have not yet been released but reports state a release window sometime this fall. Revisit us at Techetron for post IFA coverage. The Samsung Gear Virtual Reality Headset Is Real!